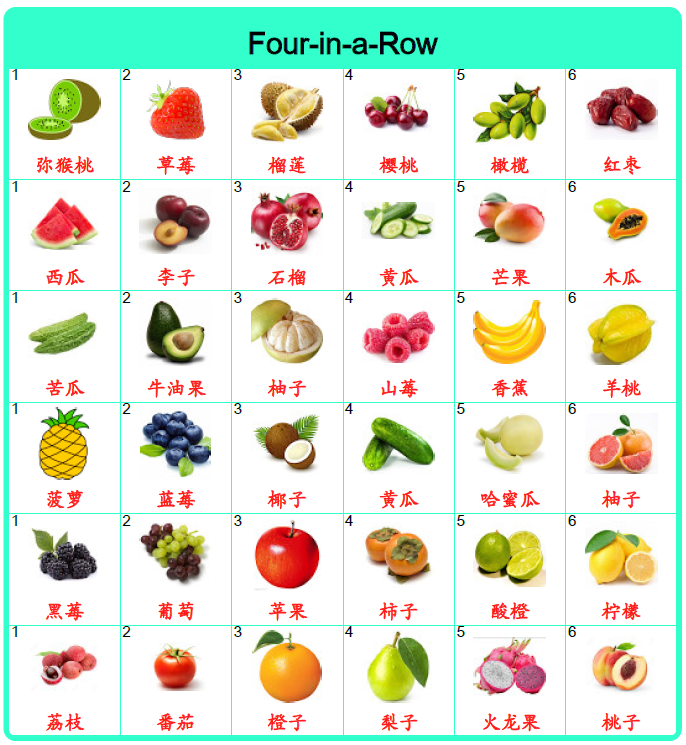 Four-in-a-row word game is an engaging way to reinforce and expand Chinese word vocabulary in the classroom. 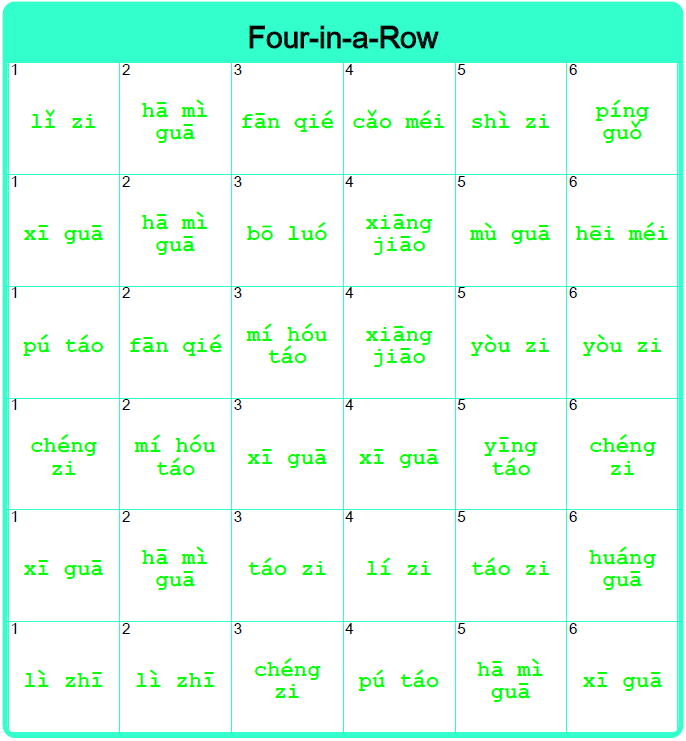 It can also be used at home for a fun homework activity. Read a word with the same number as the die. Alternatively, write the word or explain the meaning of the word. Place one marker on the word if it is read correctly. Play passes to the next player. If the word is read incorrectly, the player's turn is over. 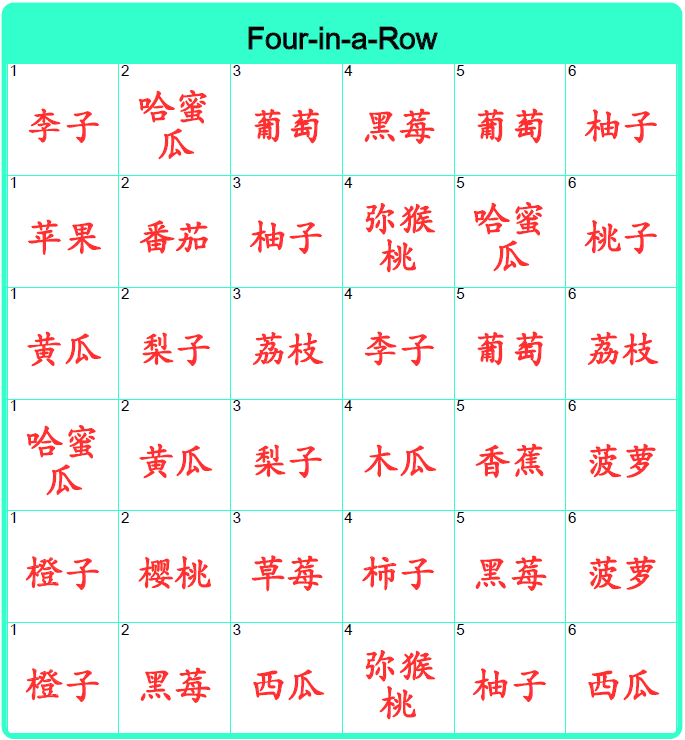 The winner is the player who has four markers in a row either vertically, horizontally or diagonally.